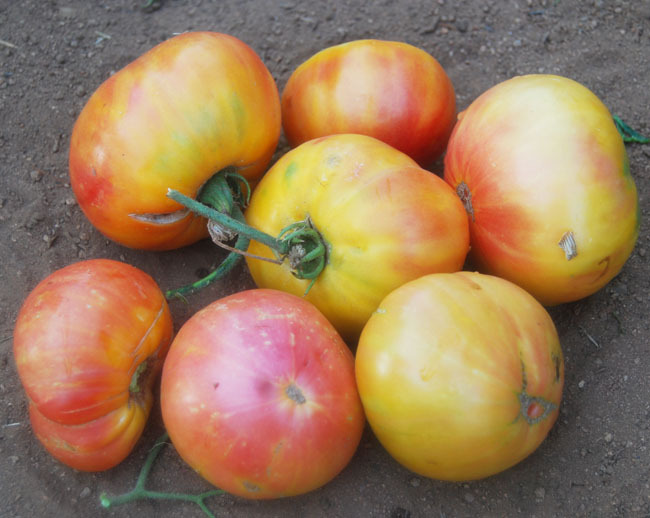 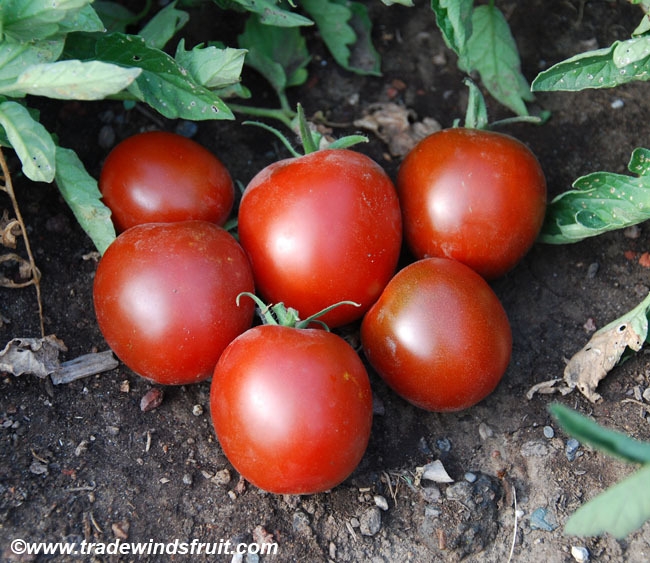 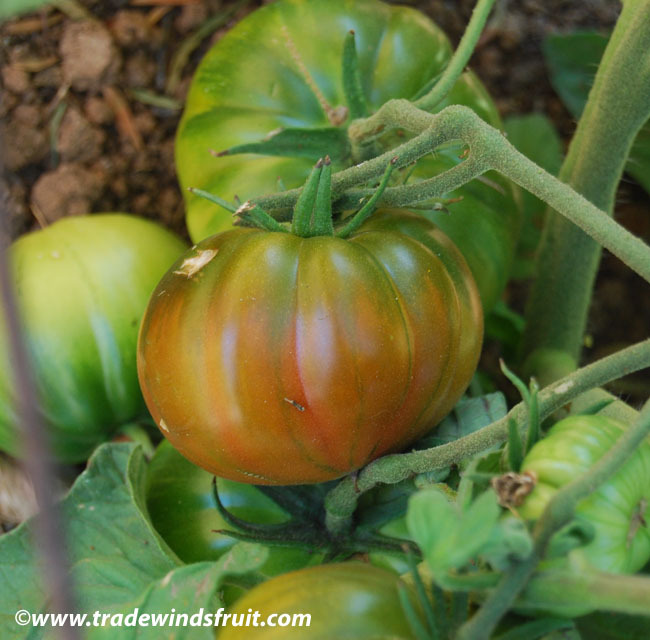 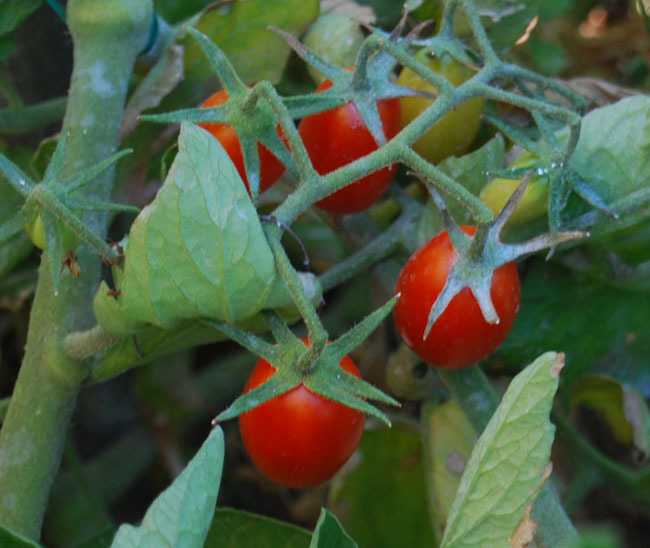 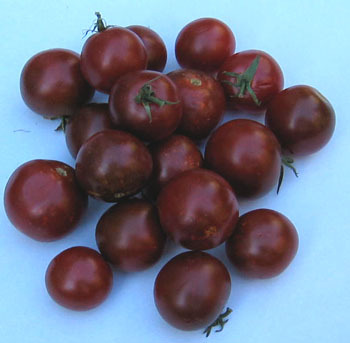 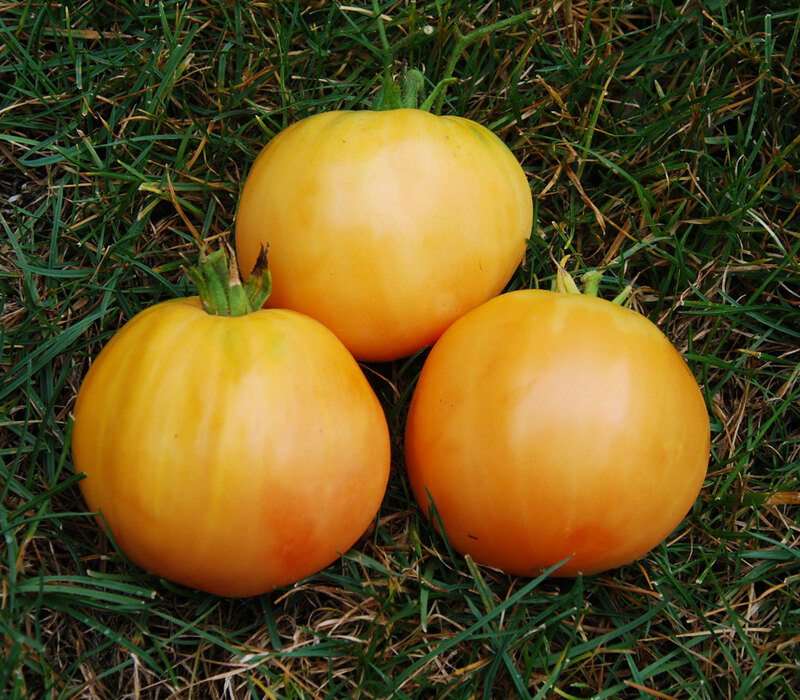 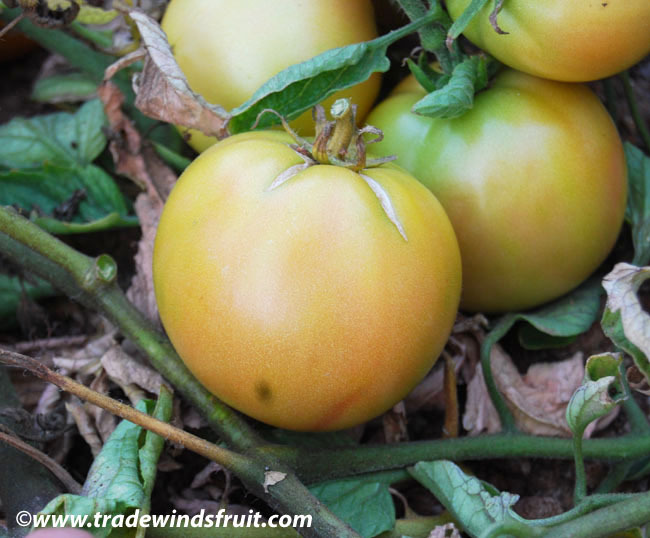 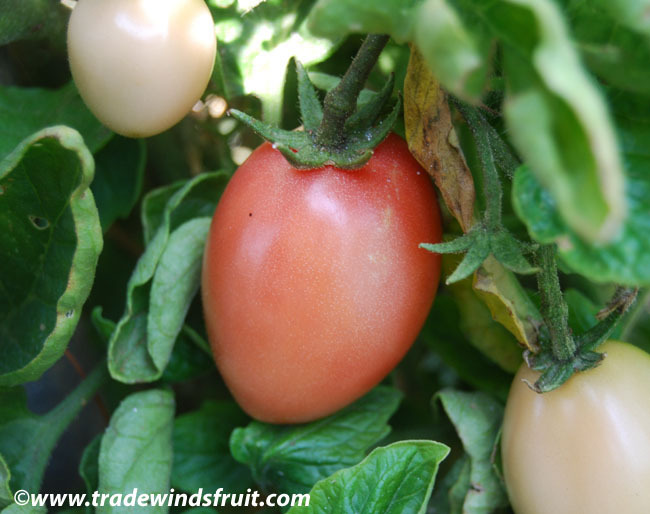 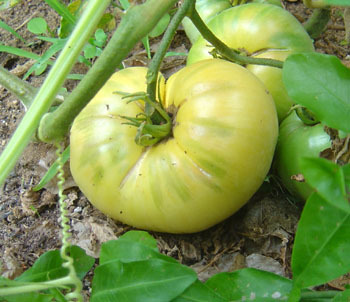 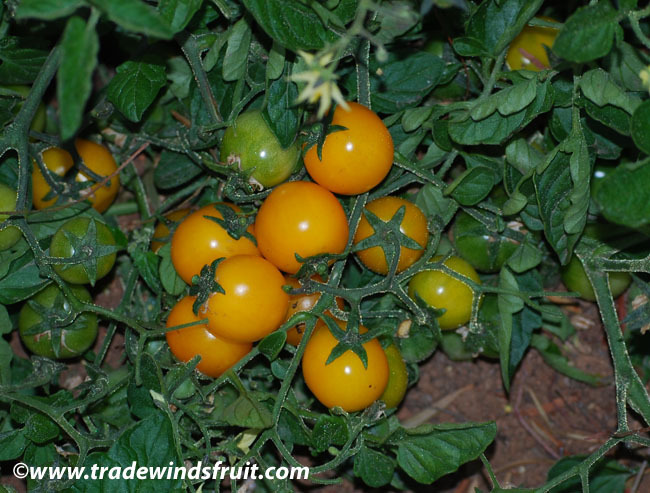 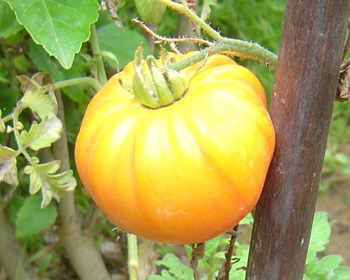 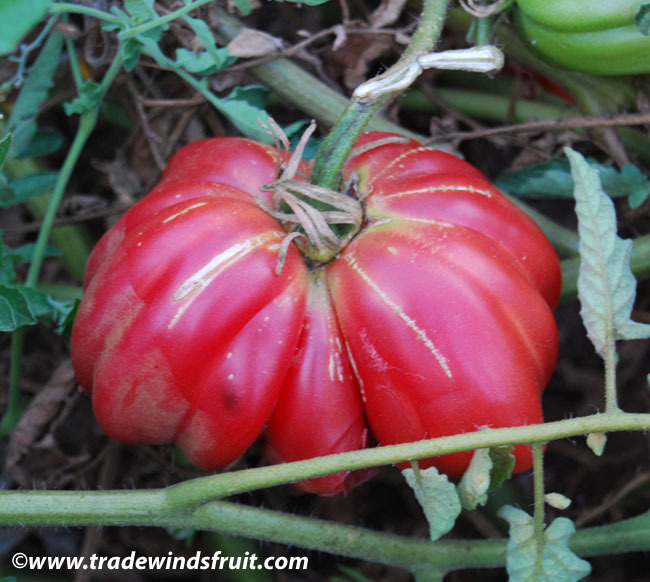 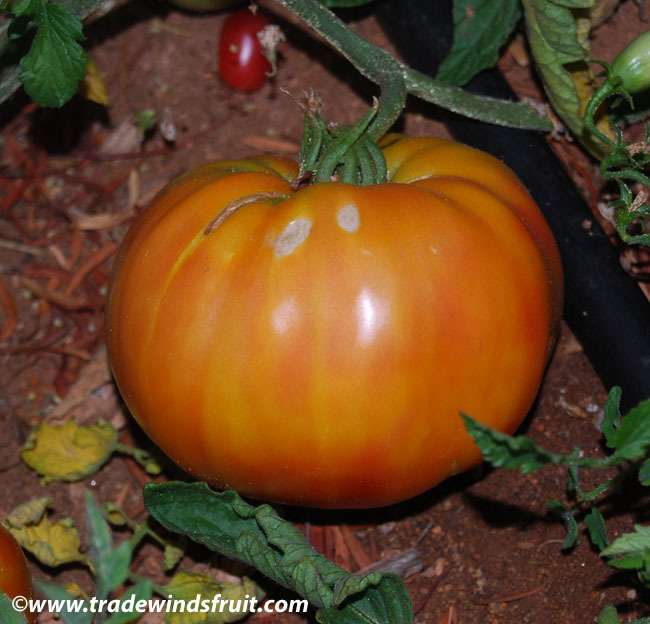 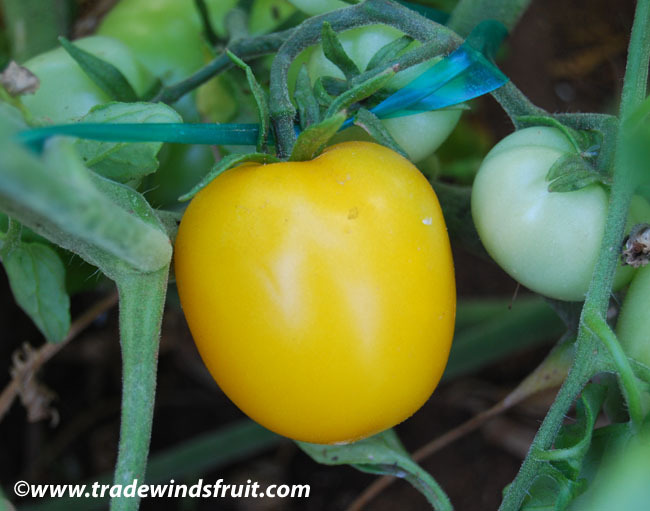 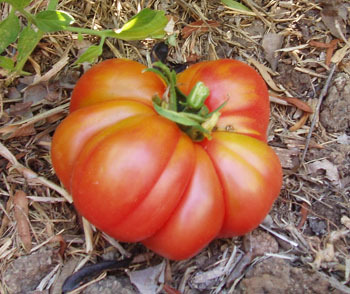 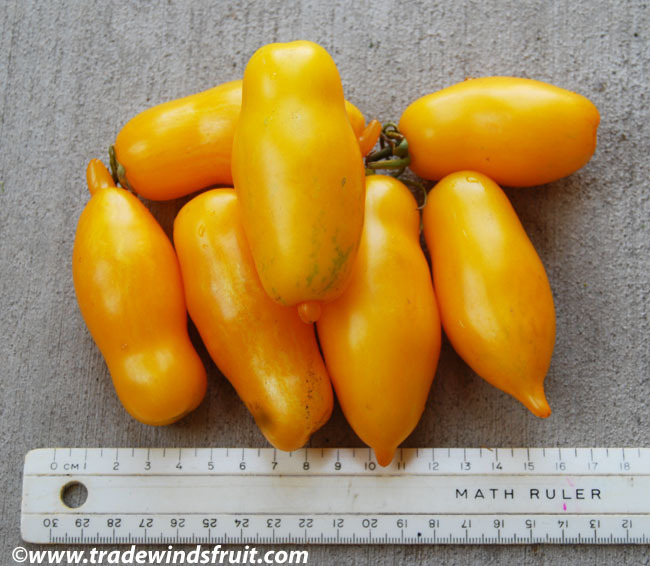 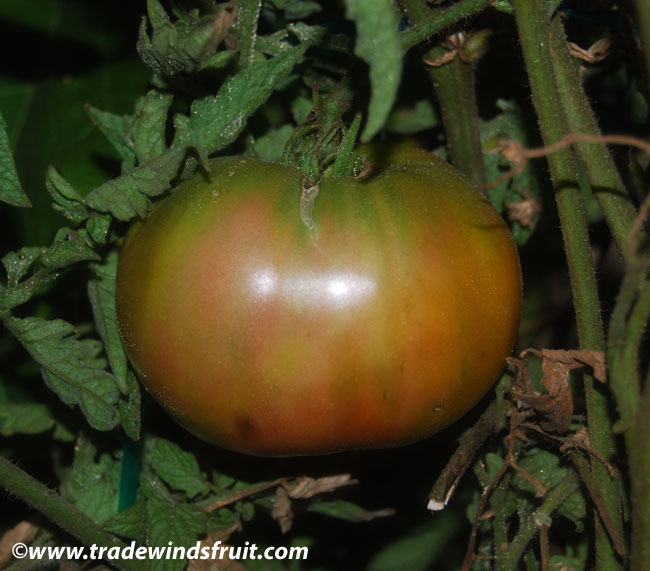 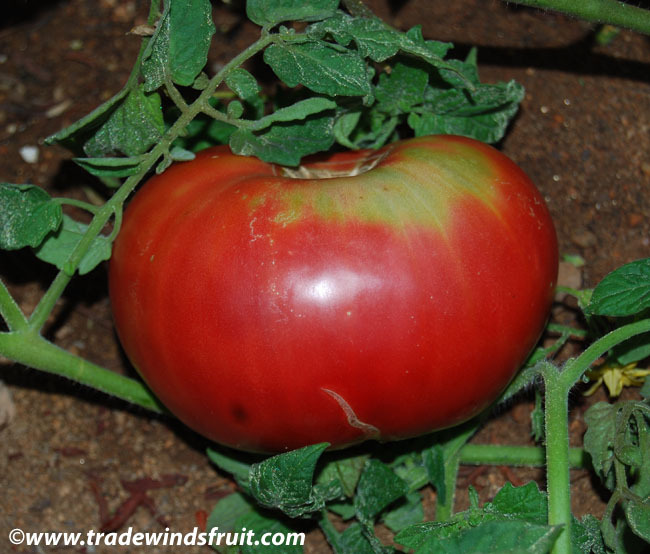 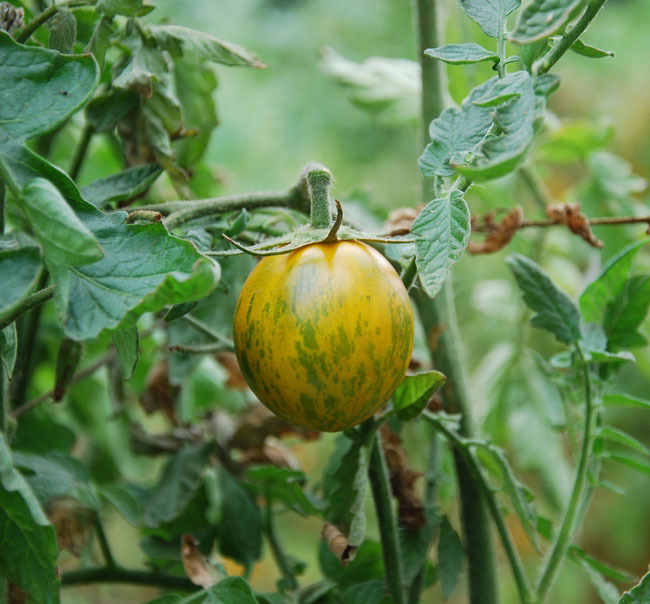 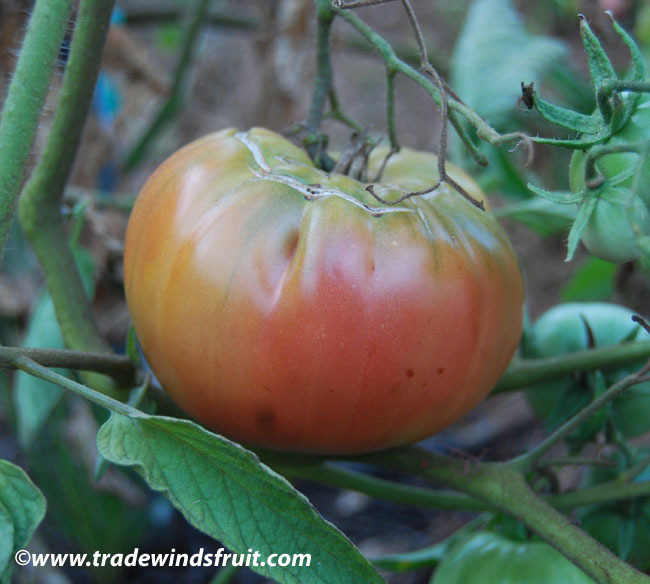 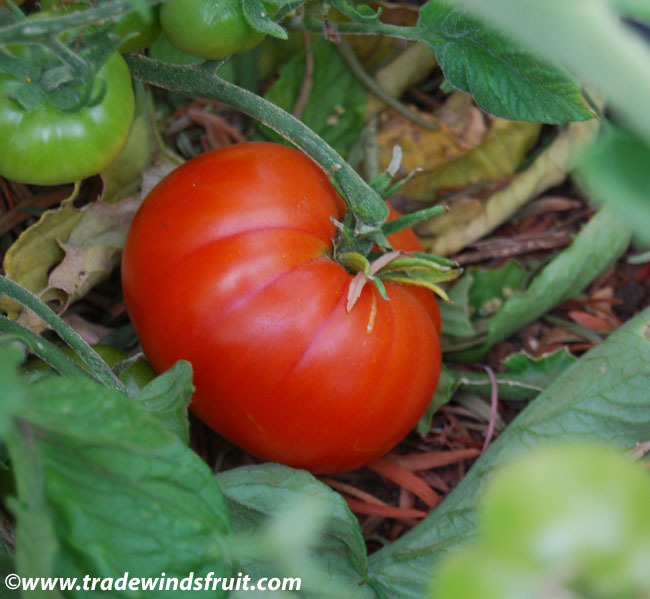 One of the more popular F1 hybrid tomatoes, the Early Girl bears uniformly, roughly round fruits that grow to 4-8 ounces. 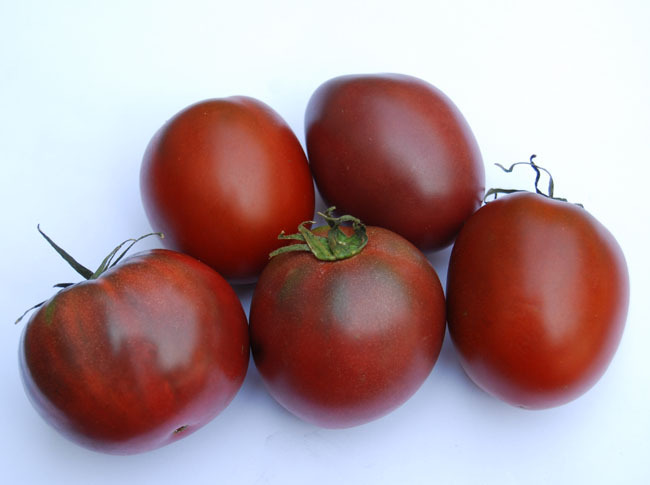 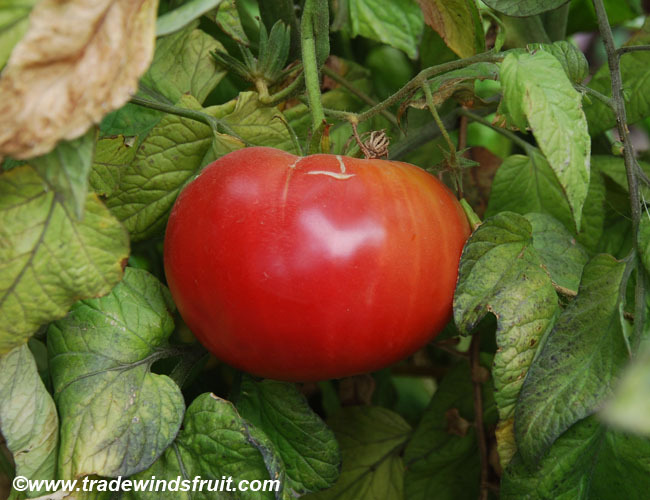 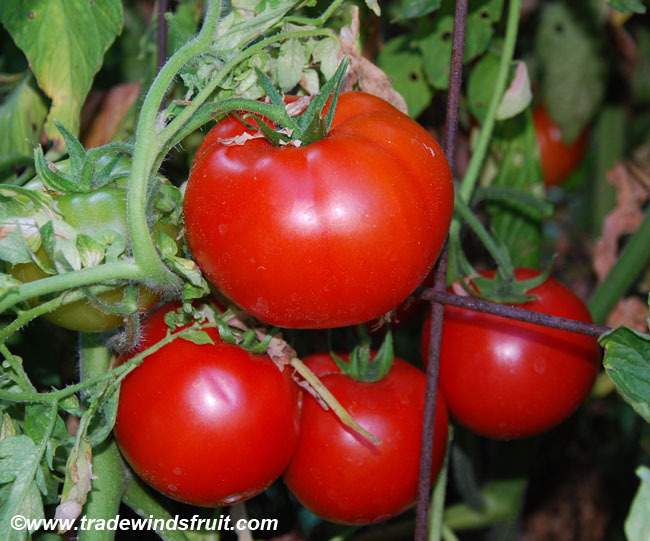 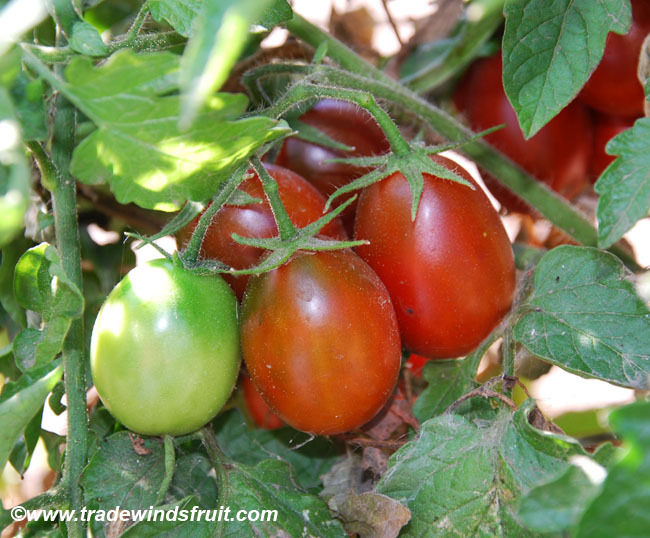 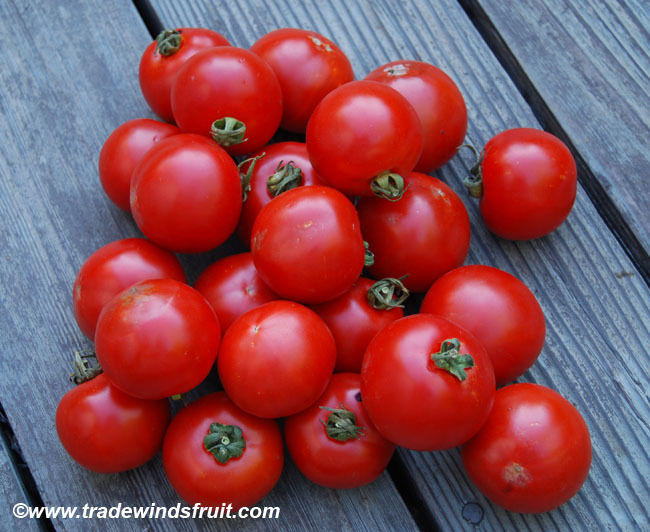 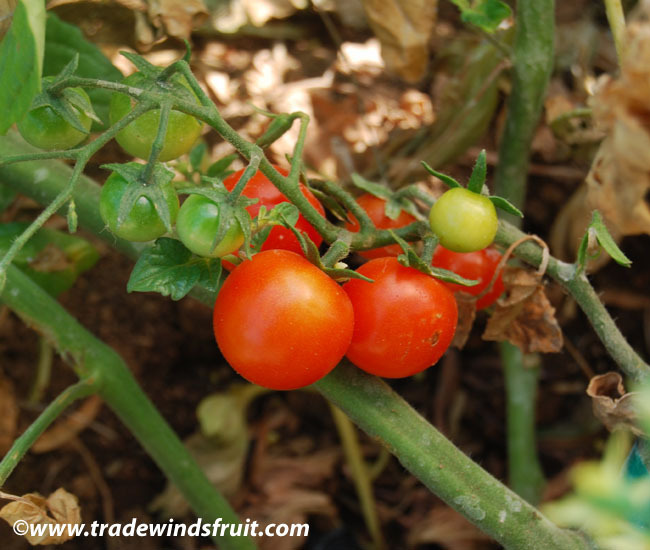 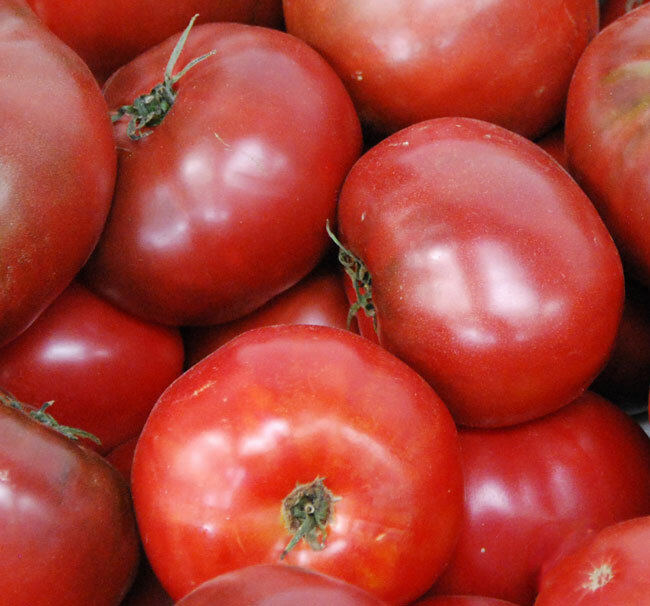 The fruits ripen to bright red and have a solid and appealing flavor. 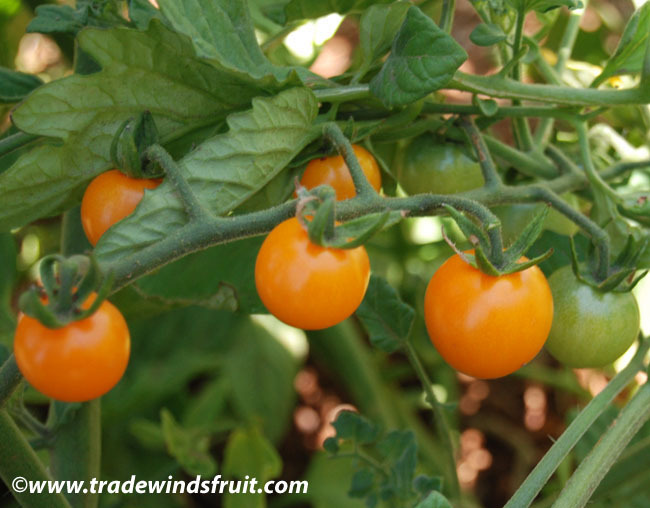 This variety is very popular with early, short and cold season gardeners, with fruits ripening in as few as 50 days from flowering. 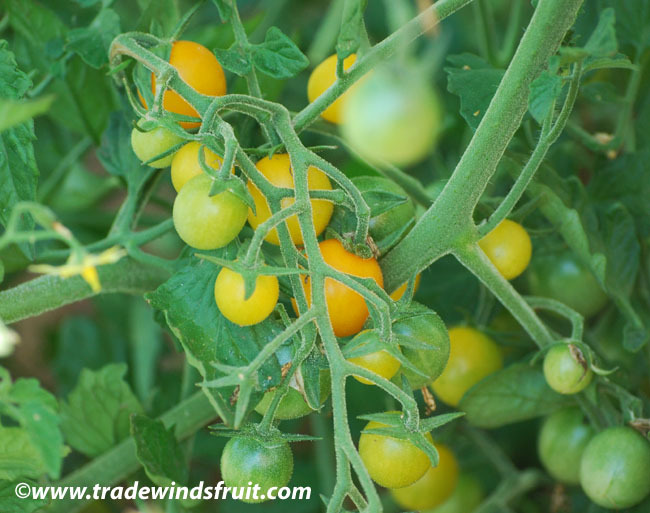 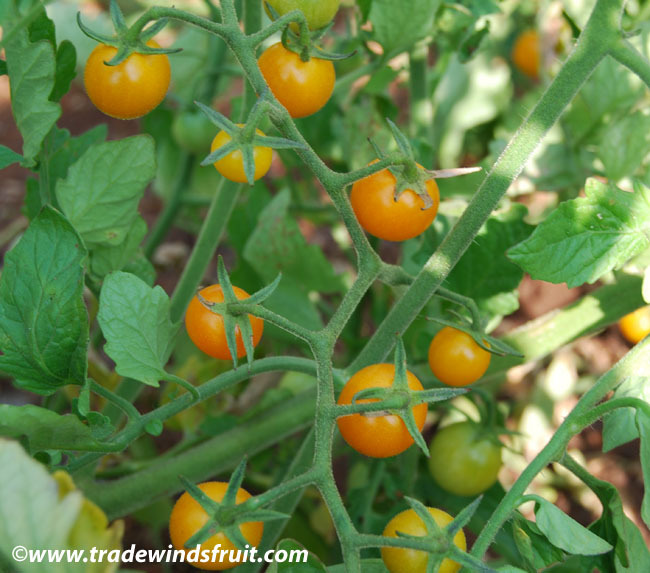 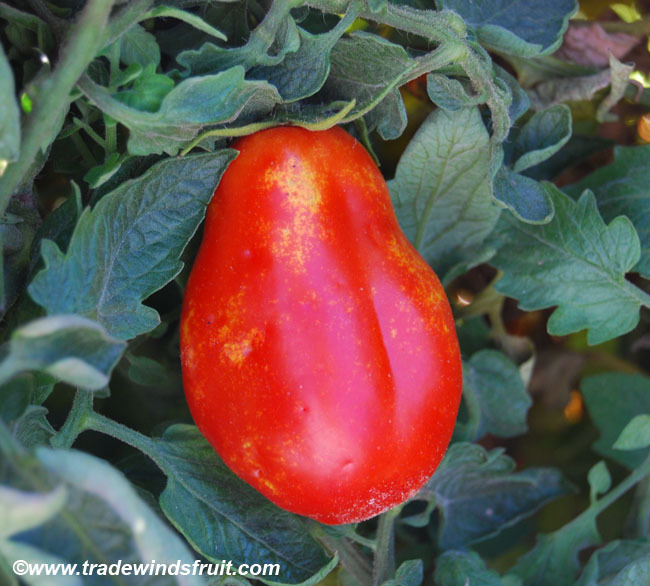 This variety does particularly well in foggy and cooler areas, areas that can be problematic for many other common tomato varieties. 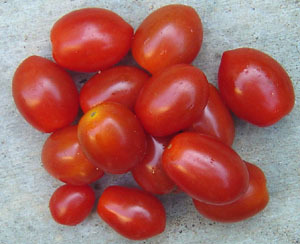 As it is a hybrid, the variety is propagated by hybrid seed. 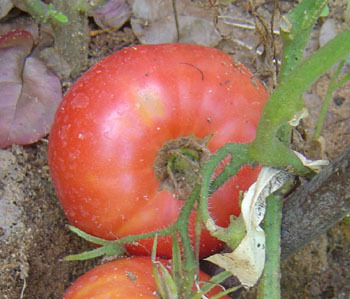 Open pollinated forms are occasionally available but are uncommon and generally difficult to find. 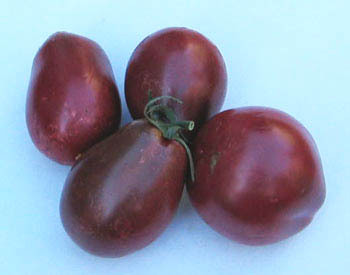 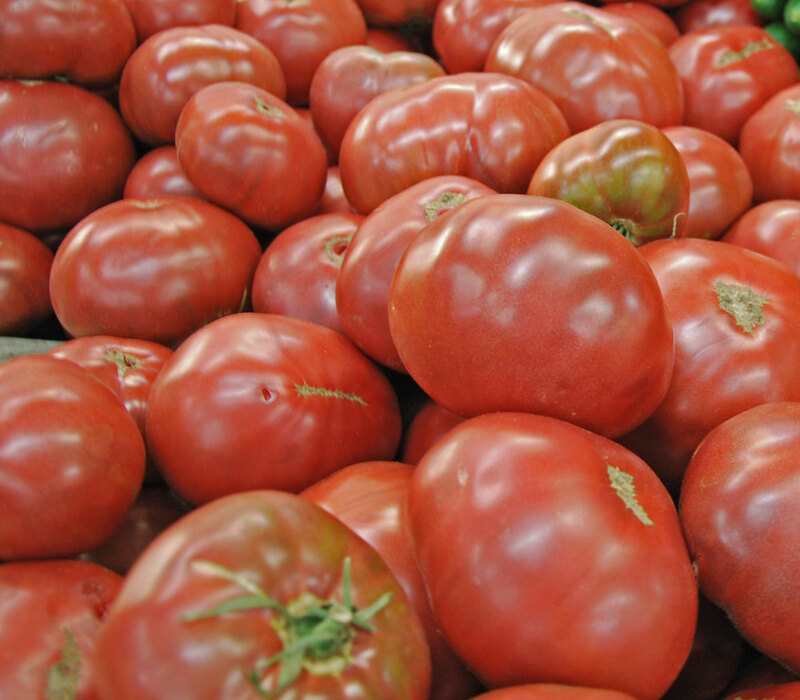 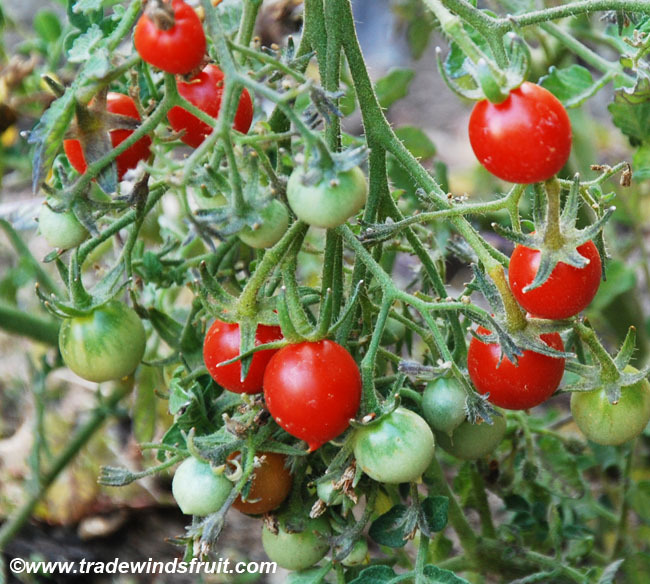 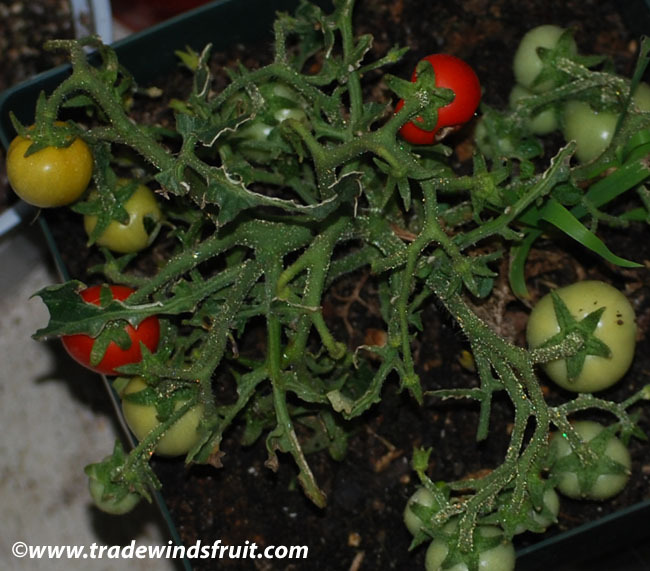 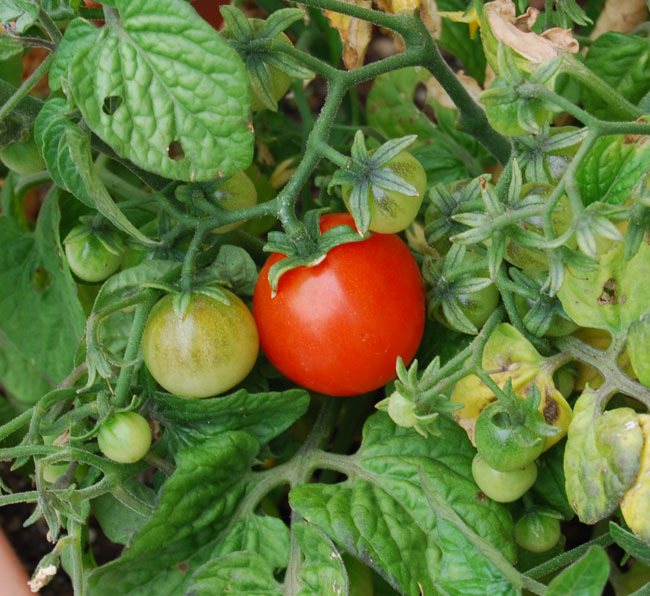 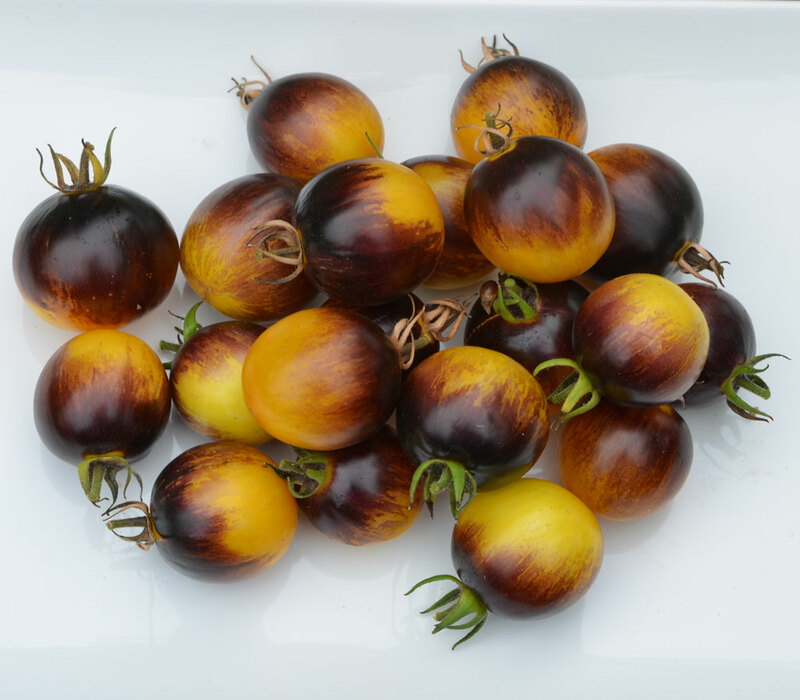 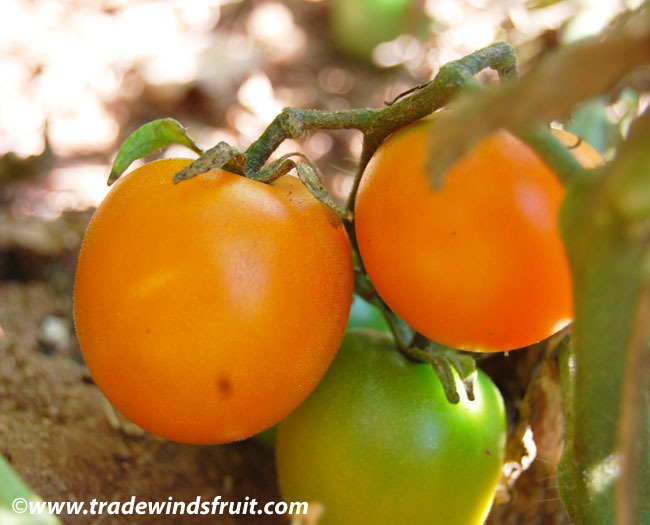 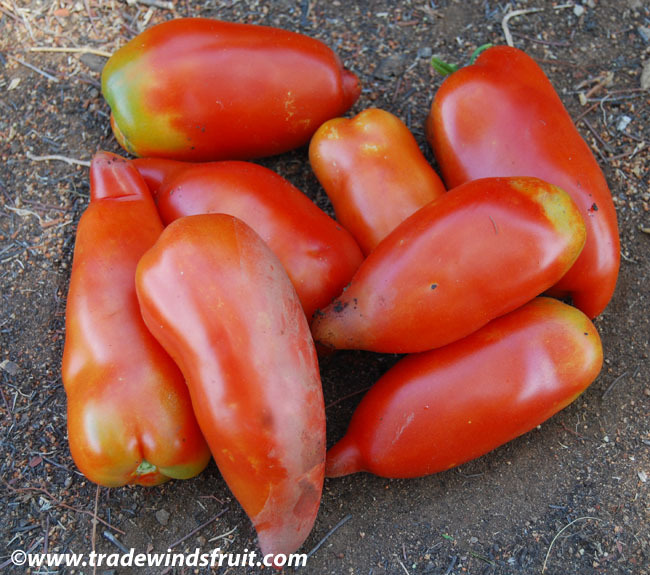 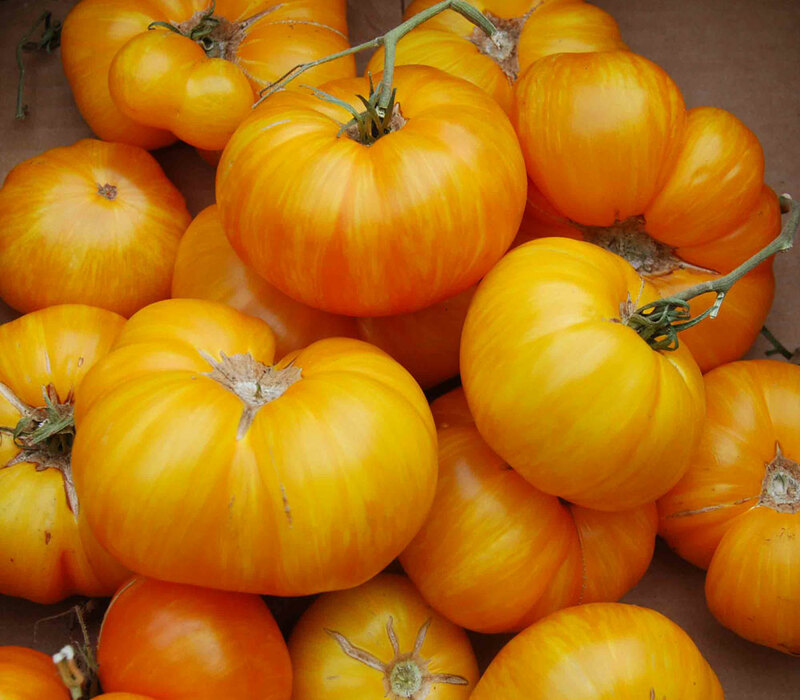 One unique aspect of the Early Girl Tomato is its recent popularity amongst dry farmers. 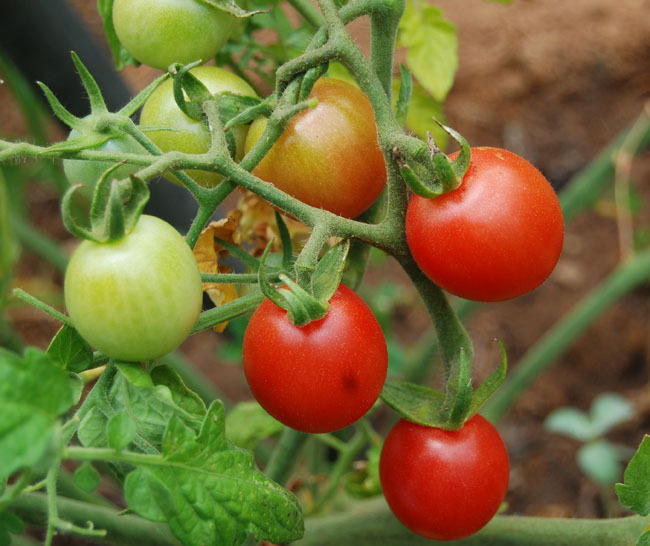 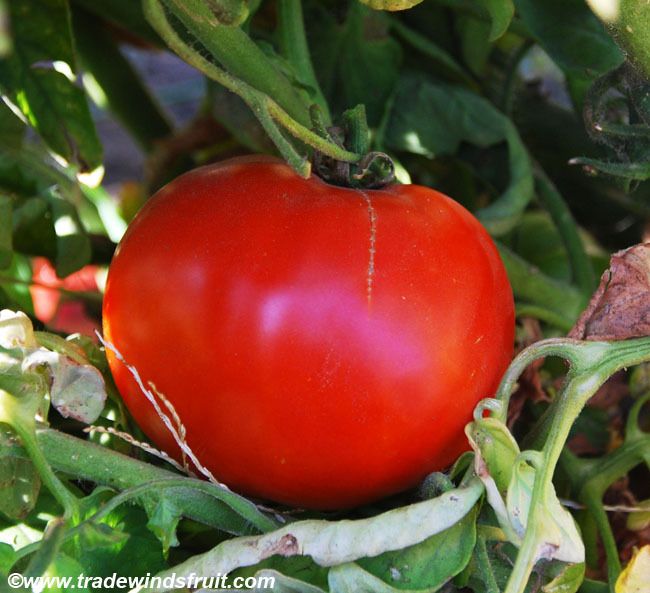 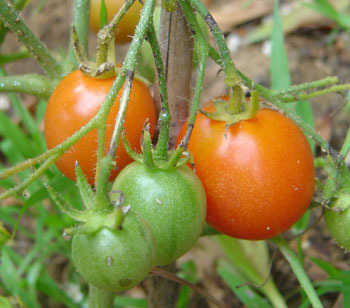 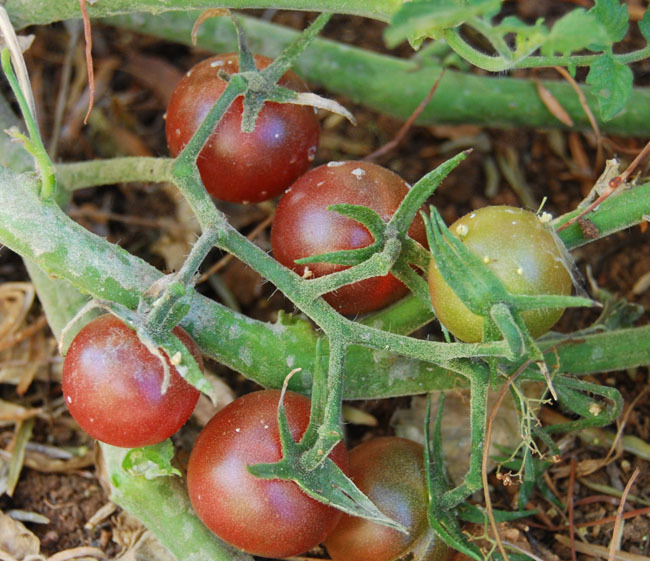 In dry farming, tomato plants are no longer watered after transplanting, forcing roots deep into the soil to pick up ambient water. 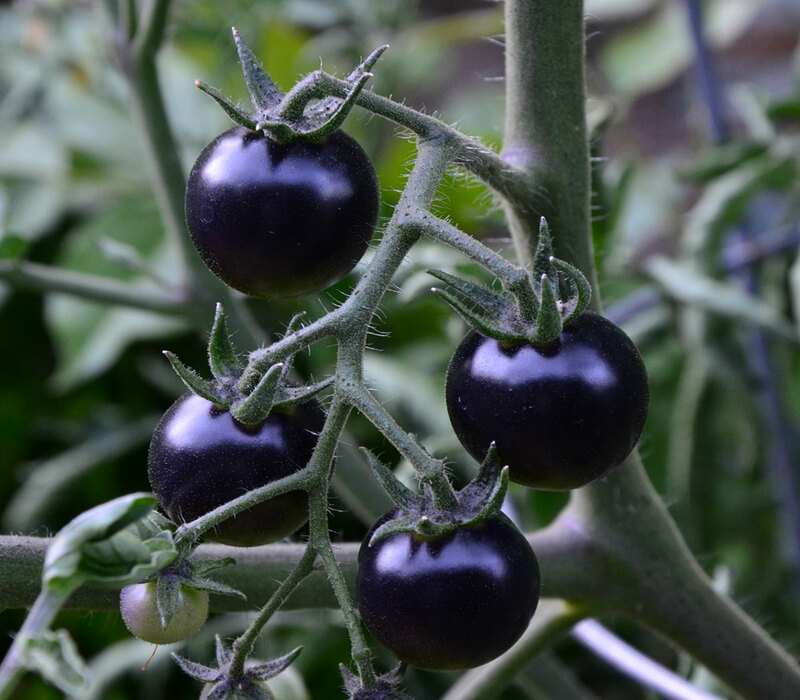 As the season progresses, the fruits (while often smaller than regular farmed fruits) are said to take on a richer and much more concentrated flavor. 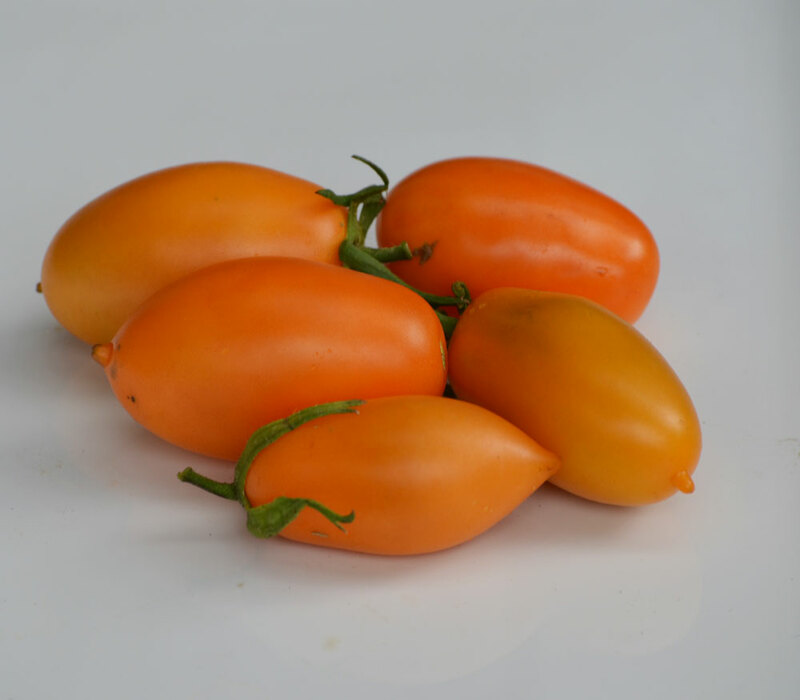 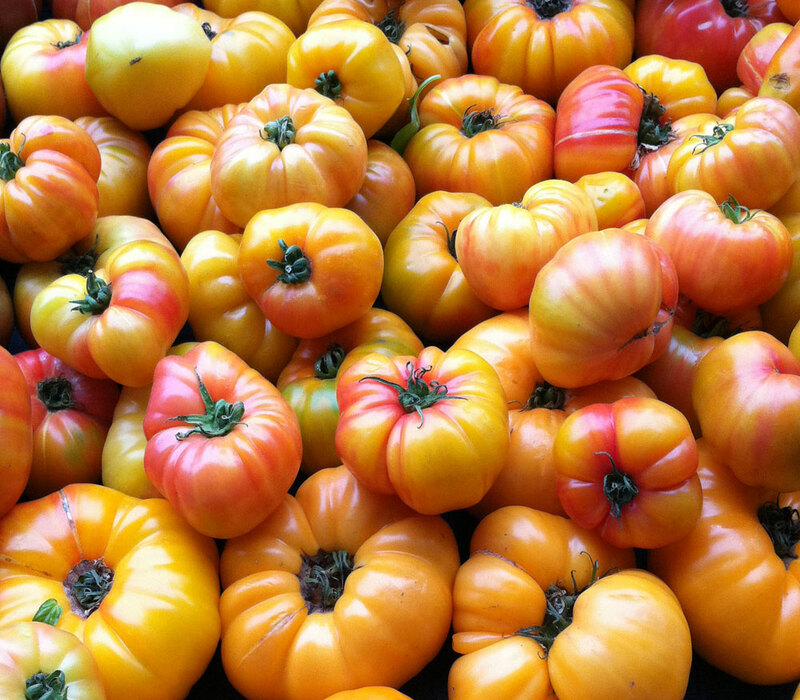 Dry-farmed Early Girl tomatoes are common in the farmers markets of Northern California and the practice has attained a cult following. 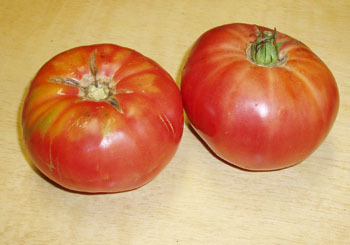 An F1 hybrid originally released in the United States beginning in 1975.